Hair, grease, cleaning agents and garden foliage such as leaves and tree roots, are some of the most common causes of blocked drains. 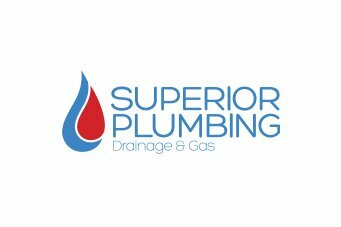 Superior Plumbing Drainage and Gas provides Perth with 24 hour/7 day a week emergency drain unblocking, clearing, cleaning and repairs, quickly and efficiently with the least amount of disruption to you, your business and your family. Our qualified plumbing professionals undergo regular training, to ensure they are constantly up to speed with the very latest in drain clearing technology. Our service vehicles are always stocked with the necessary equipment to ensure we get the job done quickly and without fuss. Once we’ve cleared your drains, we will spend time with you to explain how the blockage occurred, and how you can prevent it from reoccurring. This will save you money over the long term and ensure your drains and pipes remain unobstructed. Here at Superior Plumbing Drainage & Gas, we use the latest in tooling and equipment get the job done quickly. Here’s just a few of the methods we use. Superior Plumbing use high powered drain clearing machines, also known as electric eels. Electric eels are very effective in clearing blockages by cutting through drain obstructions including tree roots, garden waste and other foreign objects that cause blockages over time. Using mechanical feed rotating cables and cutting heads, electric eels are one of the most efficient tools a plumber can use to clear just about any pipe blockage. Depending upon the nature of the job and the length of piping, electric eels come in a variety of sizes and lengths. Superior Plumbing stock various sizes to ensure we can tackle anything you throw at us. Superior Plumbing use high pressure water systems known as Hydro Jetters. These are an effective tool to clean and clear more challenging blockages, such as grease, fatty deposits and even some solid materials. Water is fed through a line, into the effective drainage system or pipe, where it is blasted using a system of nozels, at a rate of up to (in some cases 5000psi). Jetters are proven tools, that can typically clear almost any type of blockage, quickly and effectively. 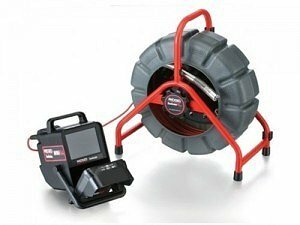 Trying to locate blockages beneath concrete or other foundations is often challenging, however the team at Superior Plumbing are equipped with Sonar detection technology. 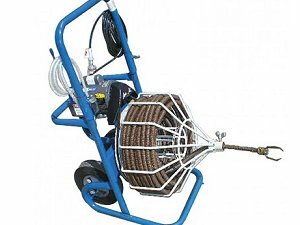 This equipment works via sending electrical pulses deep within the ground, and enables us to quickly and efficiently locate clogged or damaged pipes, up to 15 feet beneath the surfave – without any need to dig. By pinpointing the exact location of the issue, we can then go about clearing the blockage with the least amount of disruption to the area. Using state of the art high definition CCTV cameras, Superior Plumbing are able to inspect your drains to determine and diagnose any blockages or issues quickly and without fuss. The advantages are obvious – no digging, no guessing. Clear imagery allows us to see exactly where the problem lies, so that we can rectify the issue with accuracy – avoiding costly repair bills and disruptions to the surrounding environment. Our plumbers are equipped with CCTV drain inspection cameras capable of inspecting blockages of up to 65 meters away from any vantage point. Superior Plumbing are experts at pipe drainage relining and relaying. Servicing both residential and commercial properties, our qualified plumbers have over a decade worth of experience using excavation and digging machinery. Our team of highly trained, professional plumbers at Superior Plumbing work to the highest standards and aim to solve your issue as quickly as possible. 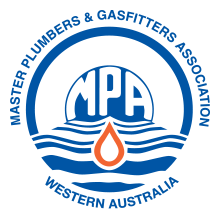 Superior Plumbing provide after hour emergency plumbing services right across Perth. Our plumbers are available all year round, including Christmas and New year. Servicing both commercial and residential properties 24 hours / 7 days a week. 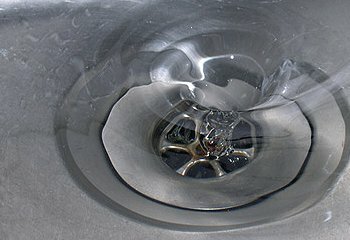 If you’re dealing with blocked drains or pipes, call us at Superior Plumbing. We are blocked drain specialists! 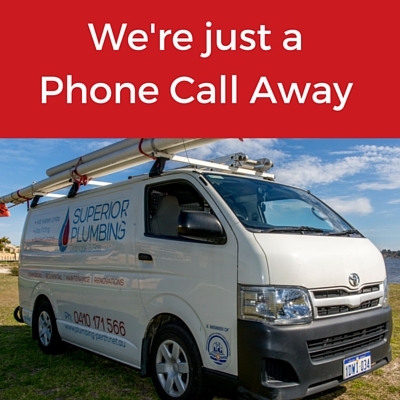 For a plumber in Perth that you can trust, call Superior Plumbing. We specialise in drainage clearing and emergency Plumbing 24 hours a day. Unlike a lot of other plumbers, we are equipped with a mini excavator for larger drain jobs and repairs. Regardless of how extensive your repairs might be; our team can offer their collective expertise to offer a timely resolution. Big or small, we’re your team. We also offer no obligation free quotes and advice on all your drainage solutions. For any general enquires about our drain repairs and other plumbing services, get in touch with us today by calling any one of our professional team members and we will gladly assist. We look forward to helping you with all your drainage and plumbing needs.